Connect to live services via video or audio. Connect to live services via audio. Watch the live video stream here or on YouTube. The Church of the Eternal God broadcasts weekly and annual live services over the Internet for those who are unable to attend our local services in person. We emphasize that the live broadcasts of our Church services are holy and sacred convocations. Participants over the Internet should conduct themselves appropriately during services, in accordance with our doctrines and practices, and this includes proper dress when we are appearing before God. We encourage any person interested in participating over the Internet to contact the ministry to receive guidance and answers to any questions. Before and after services, say hello to others who are online by joining our chat room. 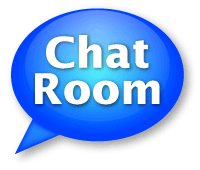 Just click on the Chat Room button on this page. The Chat Room also provides a way to get help during services from a fellow listener. Need troubleshooting help? Click here.